Fourteen people died in New York City traffic in September, and 5,288 were injured, according to City Hall’s Vision Zero View crash data map. City Hall reported 115 pedestrians and cyclists killed by city motorists through September of this year, and 11,085 injured, compared to 97 deaths and 10,500 injuries in the same period in 2015. Four motor vehicle occupants died in the city in September, according to City Hall, and 3,945 were injured. Citywide, nine pedestrians and one cyclist were fatally struck by drivers last month. 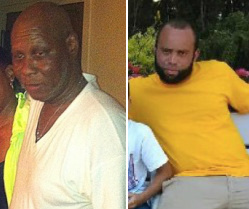 Among the victims were Barney Pinkney, Lee Strong, Dian McLean, Francis Perez, Jun Hiu Liu, and an unnamed male cyclist in Queens. Motorists killed at least two seniors in September: Lee Strong, 83; and Jun Hiu Liu, 70. Across the city, 816 pedestrians and 527 cyclists were reported hurt in collisions with motor vehicles. Per NYPD policy, few of these crashes were investigated by trained officers. Of five fatal crashes on surface streets reported by Streetsblog and other outlets, no motorists were known to have been charged for causing a death. Based on NYPD and media accounts, at least two victims were likely walking or cycling with the right of way when they were struck. A motorist backing up for a parking spot fatally struck Lee Strong, 83, as she stood in an Upper East Side crosswalk. NYPD filed no charges. Strong was the sixth person killed in 2016 while walking in the 19th Precinct. NYPD said 70-year-old Jun Hiu Liu was “walking in the street” when he was struck and filed no charges against the driver who killed him. As a society, we’re going to look back at this in the future and shake our heads. I’m sick of reading this. WHY are they not charged? Eleven people died in New York City traffic in January, and 4,330 were injured, according to City Hall. Pedestrian and cyclist injuries and deaths declined compared to January 2017.